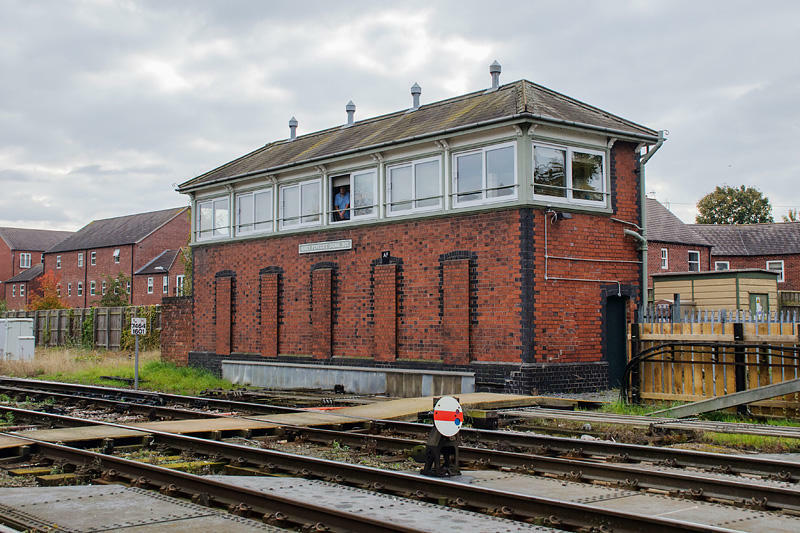 We’ve visited them before - getting on for thirty years ago, when mechanical boxes were much more common. 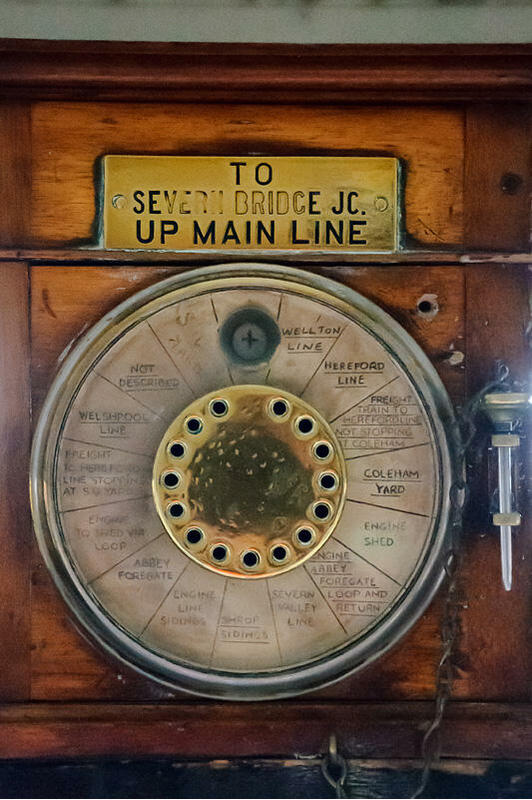 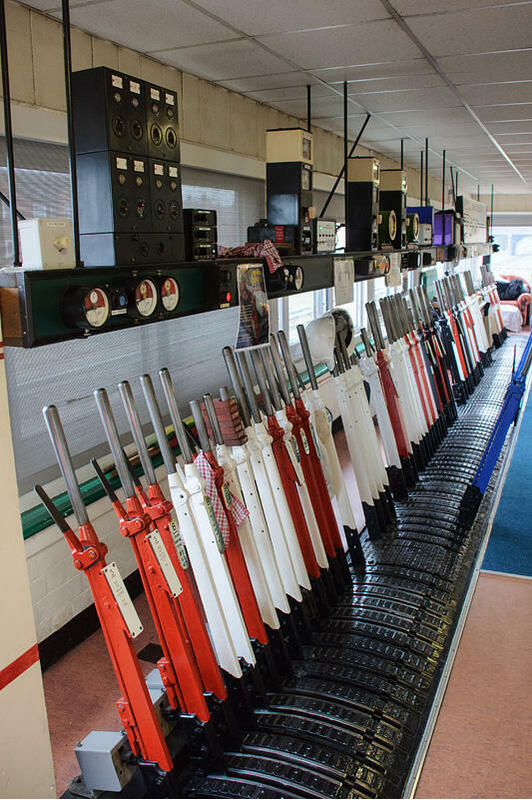 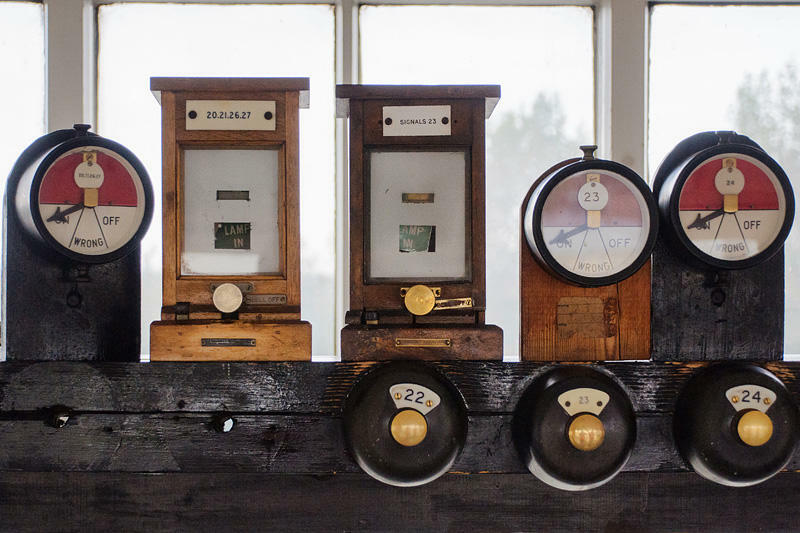 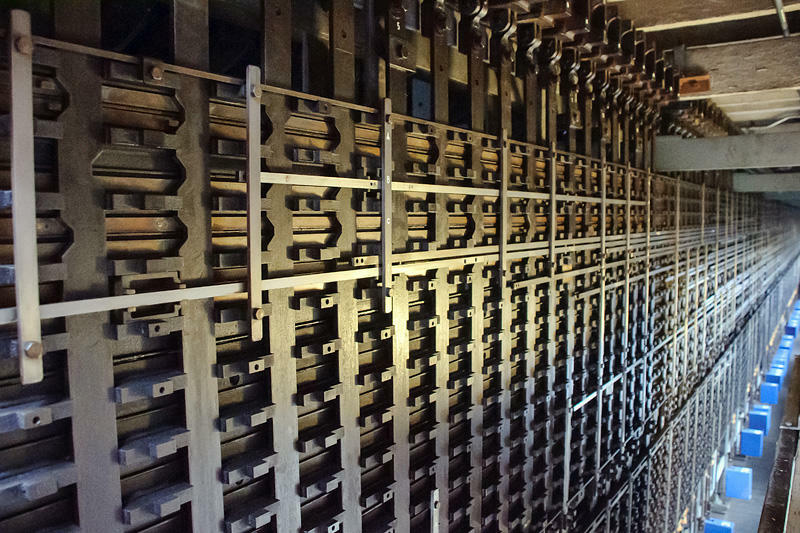 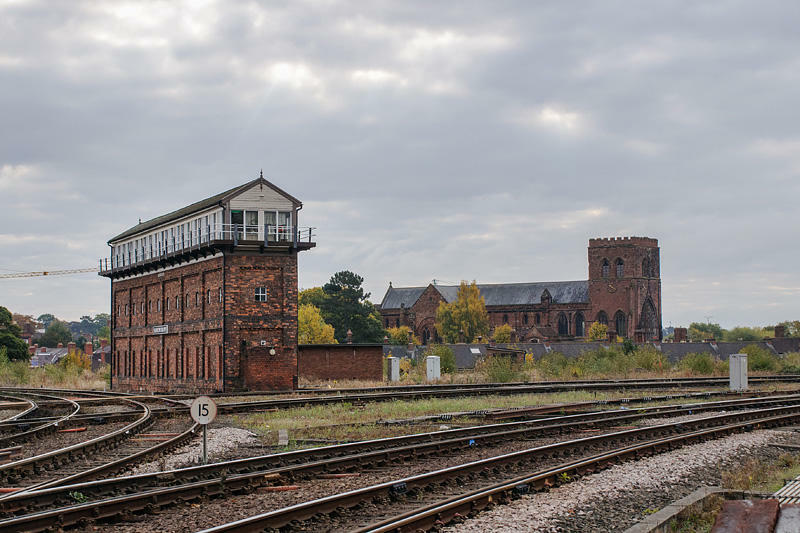 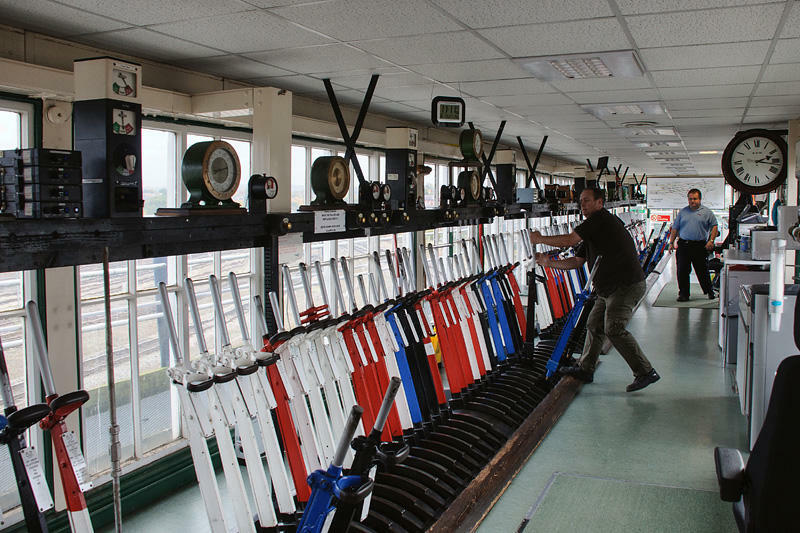 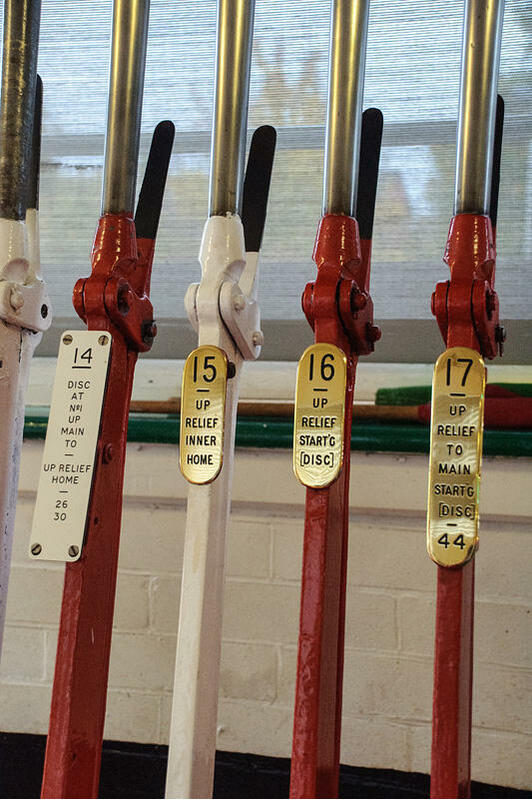 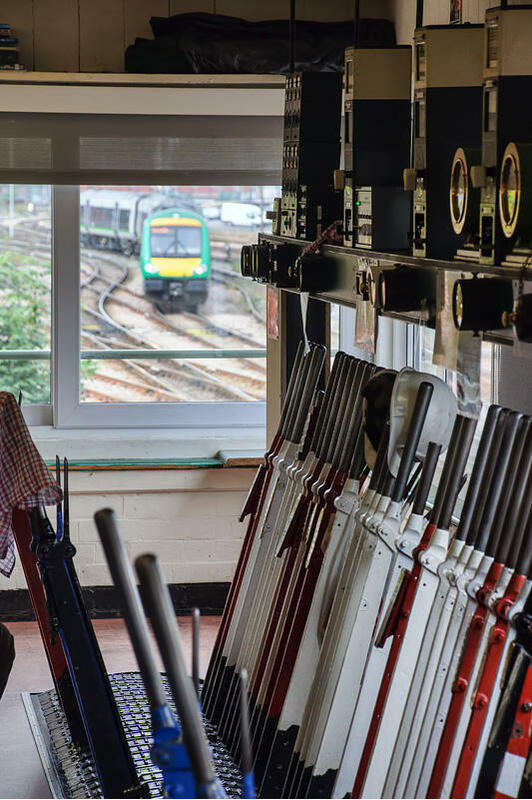 Today, Shrewsbury’s Severn Bridge Junction is the biggest mechanical signalbox in the world. 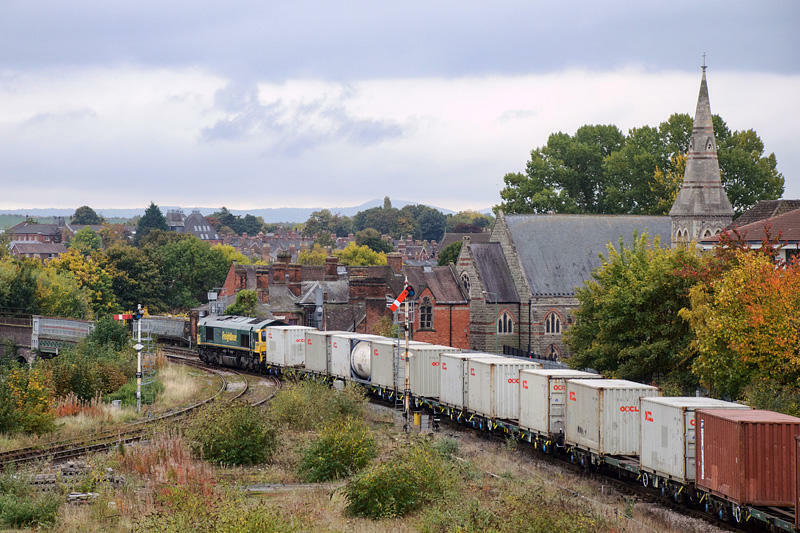 This was an official visit organised by the Shropshire Railway Society, the second one in recent months (several members were away, including yours truly, for the first one). 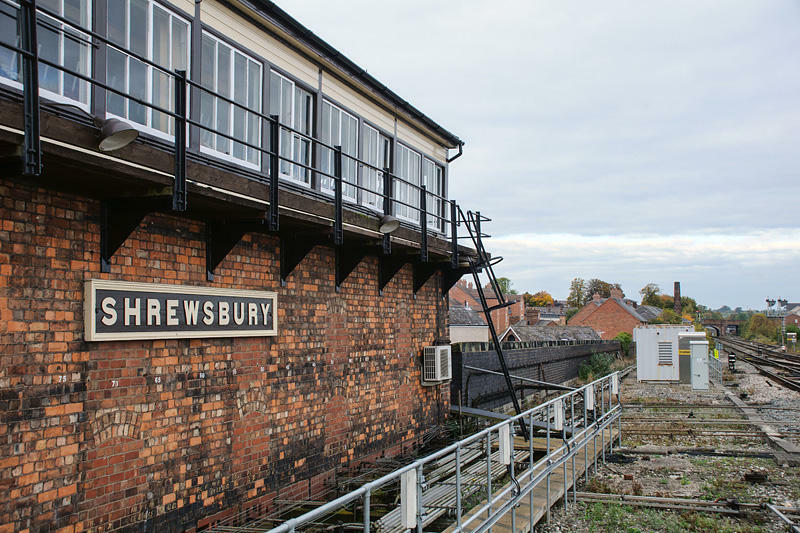 We gathered on platform 3, donned orange jackets, and split into three groups, each to be escorted to Abbey Foregate “AF”, Severn Bridge Junction “SBJ” and Crewe Junction “CJ” (the others did them in a different order...) Abbey Foregate is the smallest of the three, with a GWR frame for 93 levers (many are now painted white - they’re “spare”), controlling trains between SBJ (six running lines) and the double track Wolverhampton line. 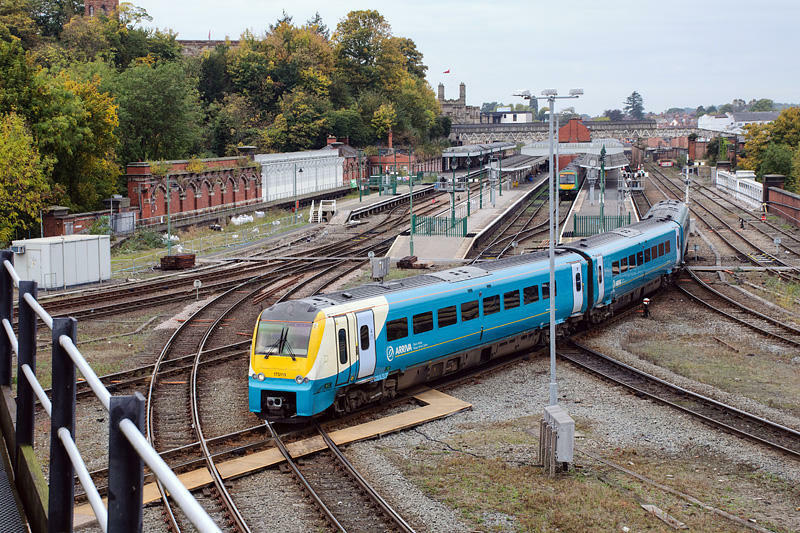 Severn Bridge Junction stands in the triangle formed by the Hereford line, the Wolverhampton line and the Abbey Foregate loop. 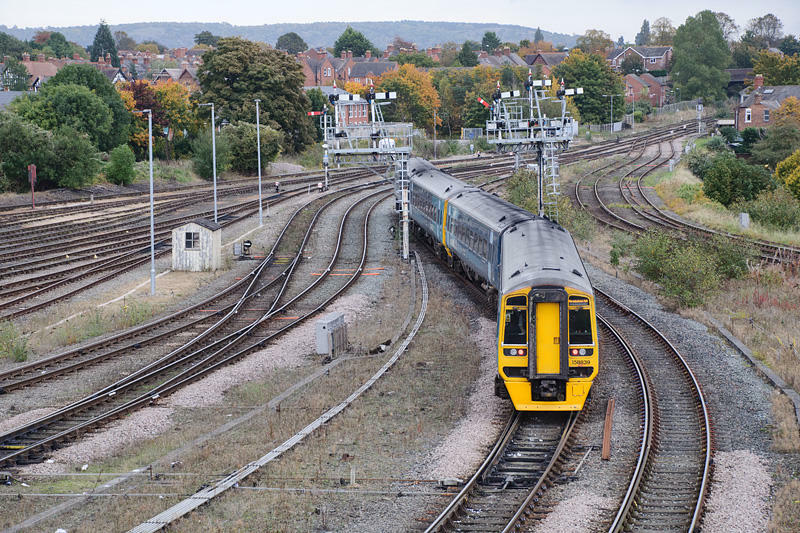 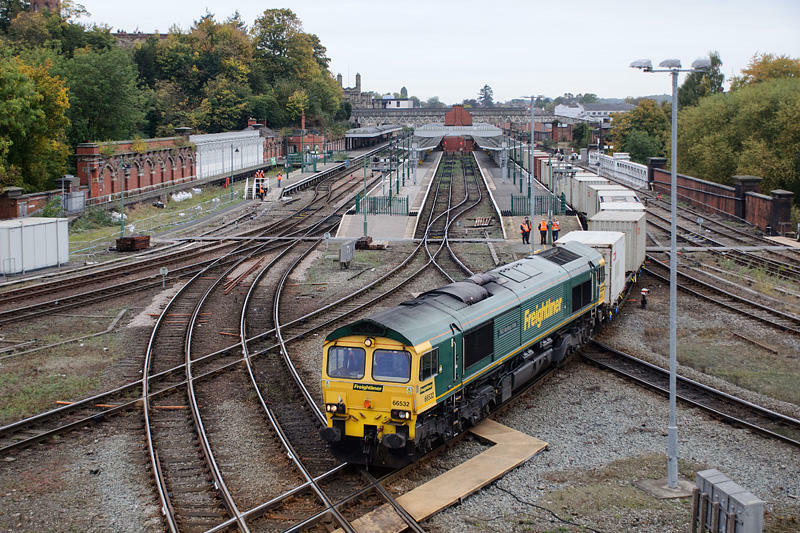 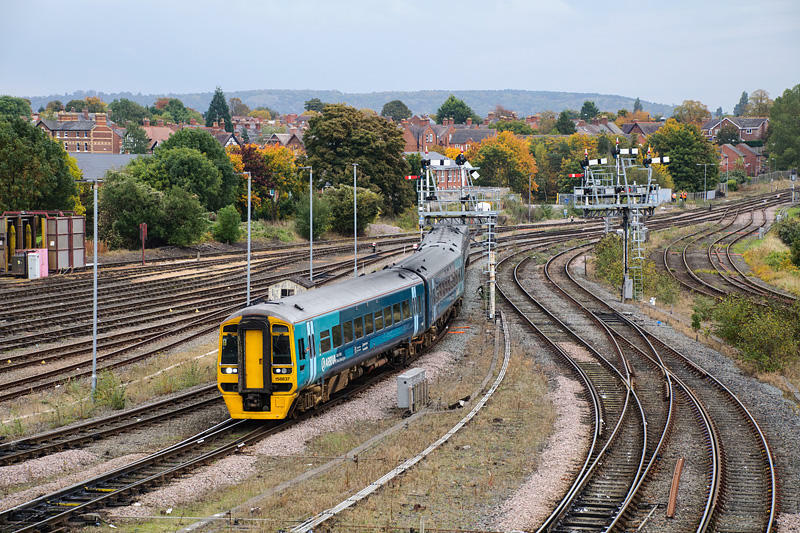 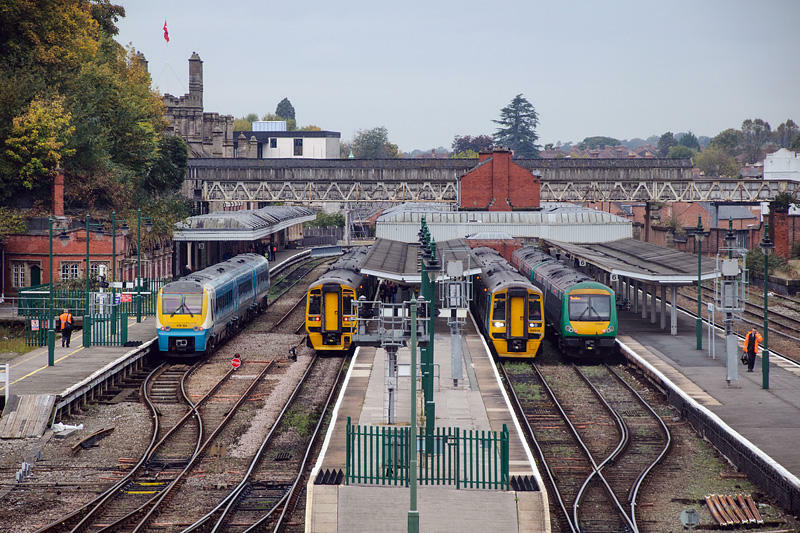 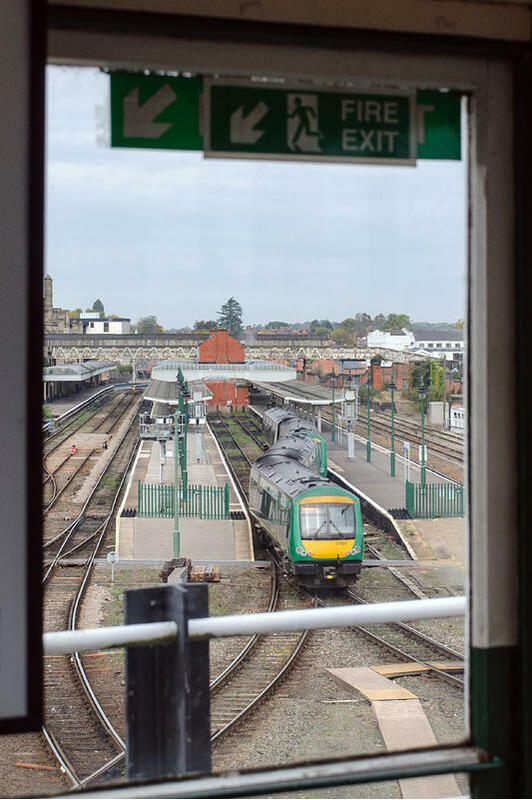 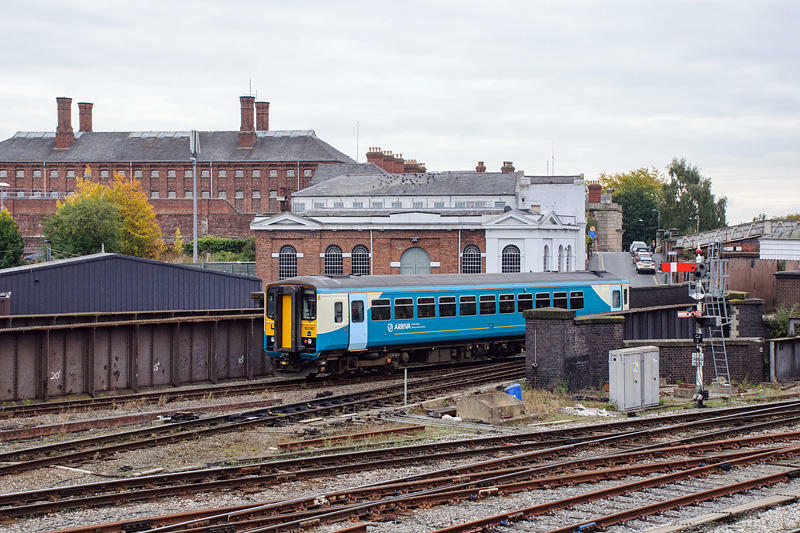 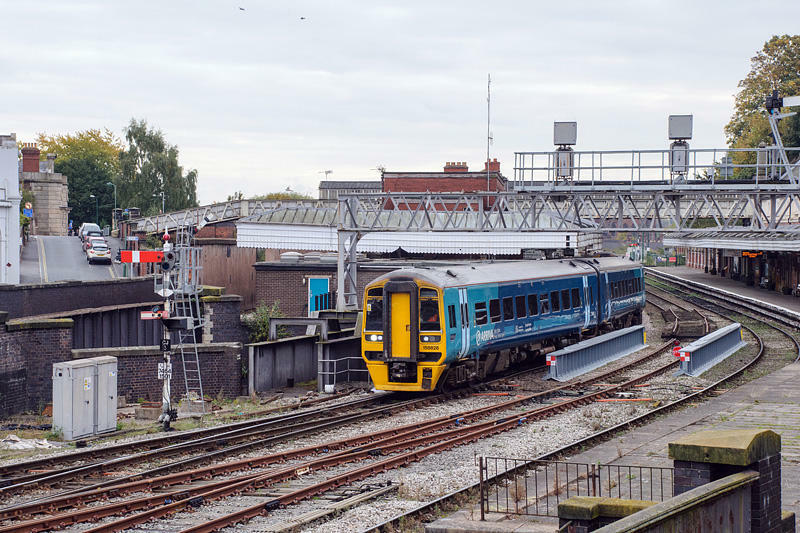 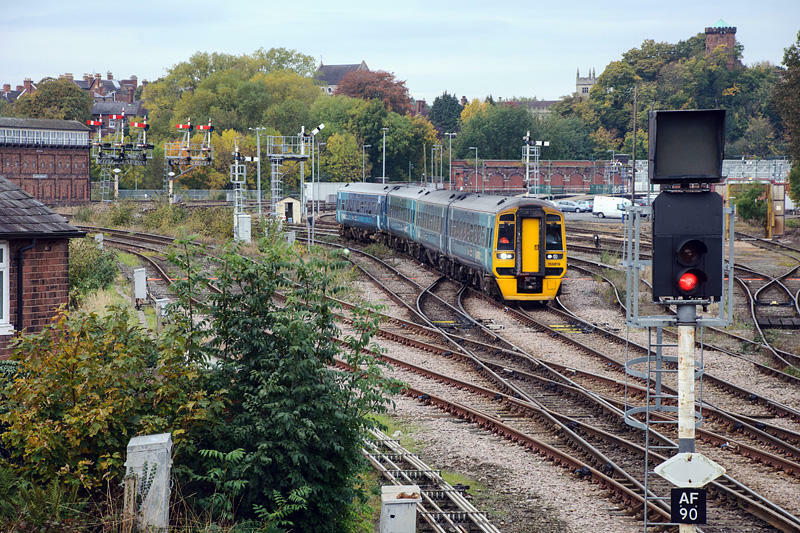 The latter enables trains running between those lines to avoid the station - still used by freight, it was once used by direct passenger trains between the west midlands and the Welsh coast. 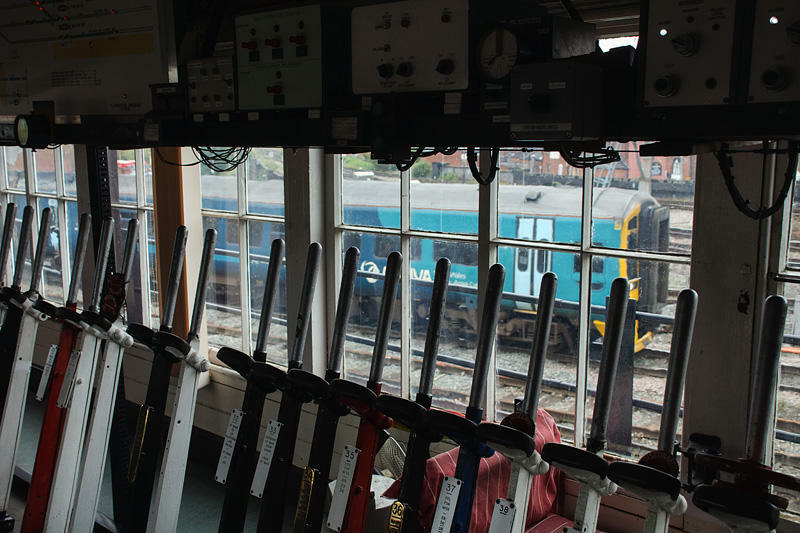 The LNWR frame here caters for no fewer than 180 levers (again, there are now quite a few spares) - and the view of the station is first- rate. 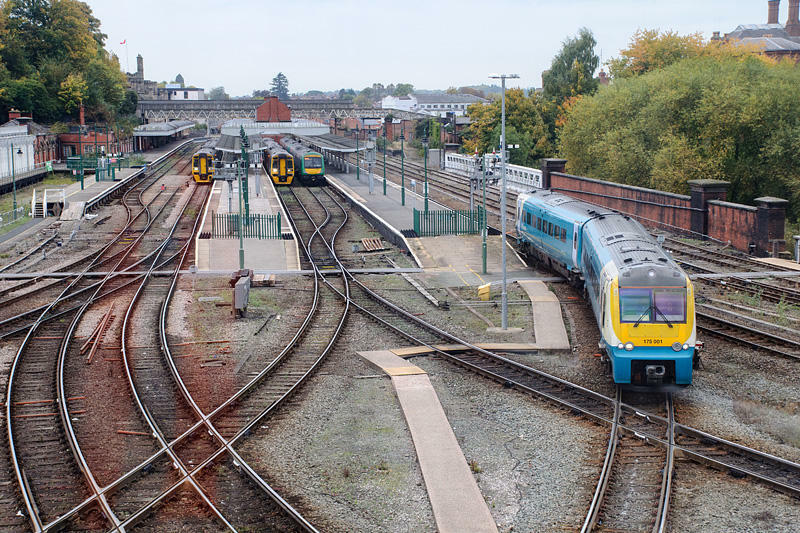 Crewe Junction is appropriately named - at the north end of the station. 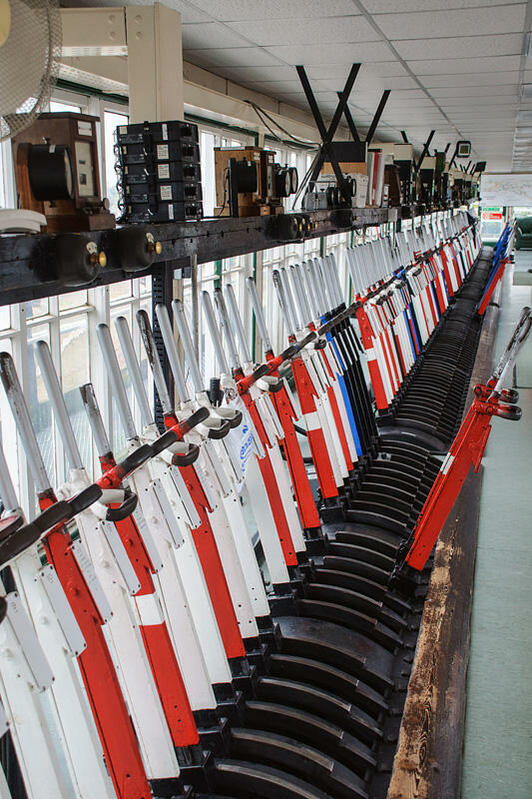 It’s another LNWR frame, this time with 120 levers, controlling traffic between the Chester and Crewe lines and the station. 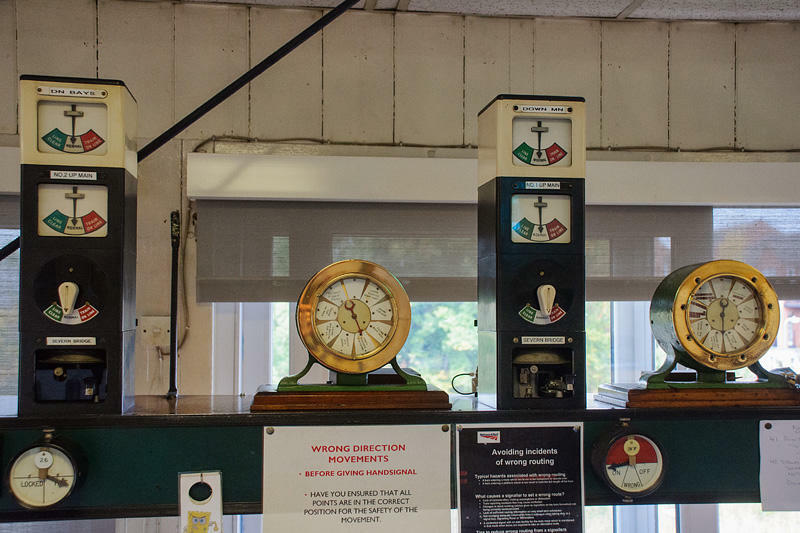 Three hours passed in the blink of an eye. 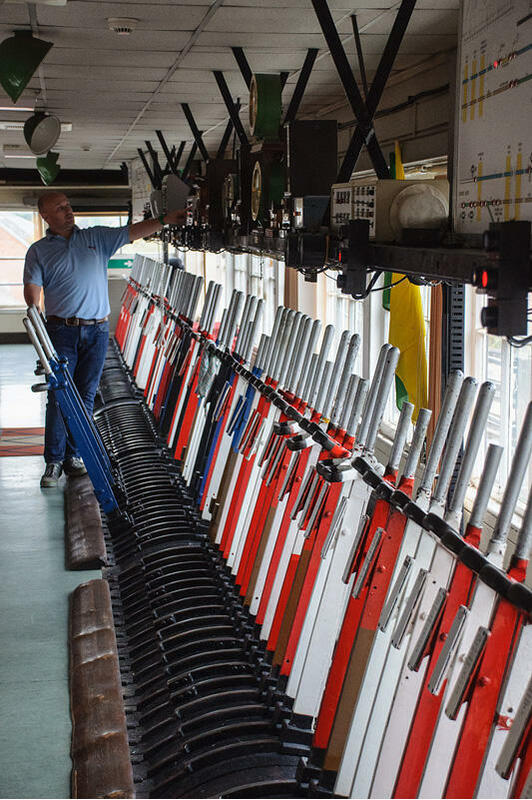 What a great way to spend a Saturday morning! 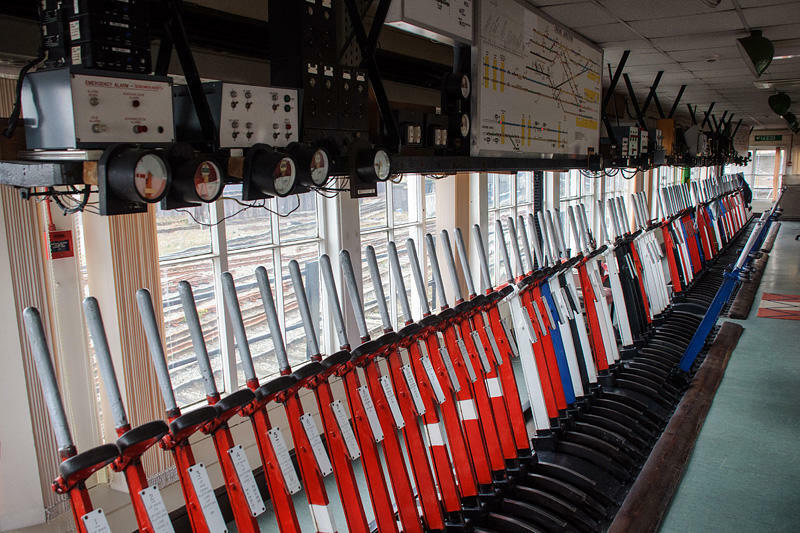 Many many thanks to Network Rail, our first-rate guides and the signallers who made us most welcome in their wonderful domains!